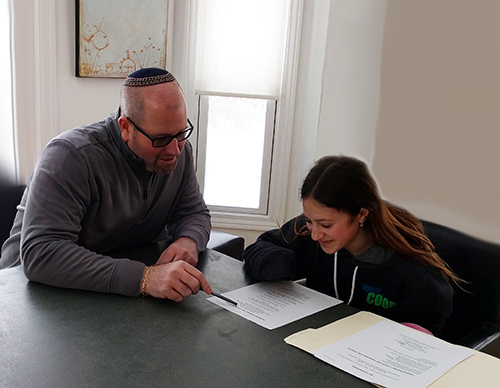 Rabbi Jason Miller will either tutor your son or daughter himself or select a bar mitzvah or bat mitzvah tutor. Tutors may be in your local community or you might have a distance learning experience with your tutor. A distance learning experience requires an Internet connection, camera, and microphone. No additional software is needed. Tutors will use either Skype, Apple Facetime, Zoom or Google Hangout to train the bar or bat mitzvah student.